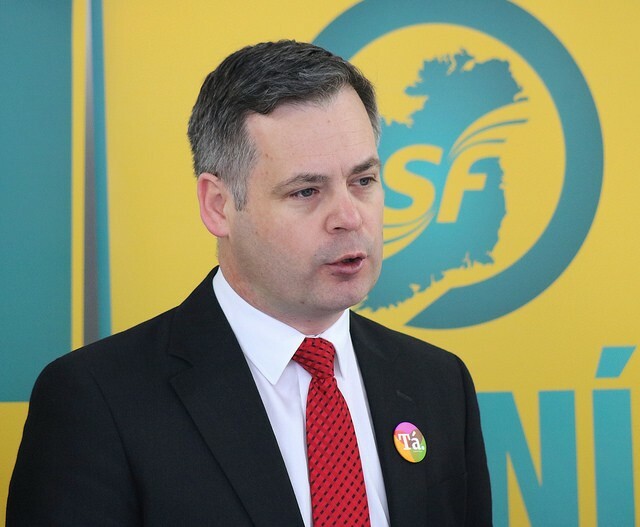 Sinn Féin have said that it is time to consider the establishment of a 32-county soccer team in light of the success of the country’s other all island sporting bodies. Sinn Féin Dáil Deputy leader Pearse Doherty made the comments on the Chamber floor earlier today. The Donegal TD and avid Celtic supporter, highlighted the recent departure of Martin O’Neill and the difficulty the Republic of Ireland have had in recent times developing. “We already have all-island teams in sports like hockey, rugby, and boxing; sports that demonstrate that we can achieve great success when we work on an all-island basis. “The fantastic result of the Irish rugby team against New Zealand at the weekend is just one example”, he told the Dáil. Former Taoiseach Enda Kenny had mooted the idea a number of years ago, but the statement fell to the wayside without much support. Speaking to An Phoblacht, Deputy Doherty said: “I don’t think it makes sense for our small island to have two separate teams, splitting the pool of talent and available resources. The Donegal native said he recognises that an all-island soccer team is the best step forward as we move towards a shared, united Ireland.